Perfect for summer day camp outings! Plan a summer outing for your group at Longway Planetarium, or let us bring hands-on science to you! The majority of our activities have been designed to travel directly to your group. We can even bring more than one activity to your site. These programs are intended for day cares, day camps, and other groups of 20 or more children. Prices are $4 per student ($4.50 for Ice Cream Program) and $4.50 per adult. Book more than one activity for a discounted price of $3.50 per student, per activity ($4 for Ice Cream). $150 per class or $550 for 4 classes on the same day at locations in Genesee County. For locations outside Genesee County, travel expenses will be charged in accordance with the current IRS standard mileage rate. Reservations are required for all activities. Call 810-237-3409, weekdays 8:30 a.m.–4:30 p.m. to book your activities. All activities last one hour. Activities can be delivered to classes of 20-35 participants. A minimum of one adult from your location will be required to assist the Longway Planetarium Educator with the activities. Most activities available for summer field trip experiences and as take-out activities at your site. Chemistry at its finest and most fun! Investigate matter, molecules, and polymers while you make and take a bag of your very own goo. A sweet way to investigate solids, liquids, and gases! Working in groups, students will practice their measuring skills using a variety of tools to mix up an ice cream base. Longway Educators will add liquid nitrogen, changing their liquid into solid ice cream. Each student gets some ice cream to taste. Blow bubbles on a tray using a variety of bubble tools and make observations about shape and color. Then use chalk pastels to create your own bubble to take with you. Use science to make works of art to take home! Blend watercolors to create a beautiful background for a star while reading the story How to Catch a Star. Use chromatography to make colorful planets. Additional morning show times are available upon request for groups of 20 or more. Pricing for groups of 20 or more is $4 per student and $4.50 per adult. Follow the adventures of Sy, Annie, and their dog Armstrong as they embark on an unexpected journey into space! Explore the Earth, Sun and Moon system with a wise-cracking starship computer. Follow an asteroid as it crashes into the Moon and bounce along the lunar surface. Get up close and personal with a solar storm, and gain a new appreciation of our home planet. Recommended for ages 3-8. 45 minutes. This show explores the state of the Arctic today, the crucial role that ice plays in the northern environment, and the changes that are quickly overtaking the people and animals who have adapted to this land of ice and snow. 45 minutes. This live presentation takes you on a tour of the night sky over Michigan. Learn about the rotation of Earth, how to find the North Star, and which constellations and planets are visible in your backyard tonight. Discover the phases of the Moon and its daily and monthly motion through the sky, as well as visible planets and their movement among the stars. Recommended for ages 8 and older. 60 minutes. Human missions to Mars are no longer science fiction and will likely happen within the next generation. Discover how NASA’s space shuttle program has paved the way for humanity to travel deeper into space—to asteroids, Mars and beyond. Learn about the important role of the International Space Station, and gain an appreciation of the challenges NASA and the space industry must overcome to carry out audacious future missions, such as landing astronauts on Mars and capturing asteroids. Narrated by Sir Patrick Stewart. 45 minutes. "Oceans: Our Blue Planet" takes us on a global odyssey to discover the largest and least explored habitat on earth. New ocean science and technology has allowed us to go further into the unknown than we ever thought possible. From the coastal shallows to deeper, more mysterious worlds, we reveal the untold stories of the oceans' most astonishing creatures. 45 minutes. 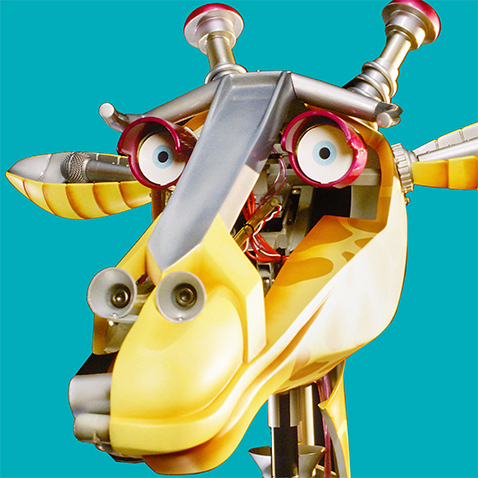 Explore the biomechanics of complex animal robots to discover how real animals work! This exhibit reveals the magic of nature as a master engineer. Robot animals and hands-on activities illustrate fascinating real-life characteristics, such as how a chameleon changes colors, how a giant squid propels itself, and how a fly walks on the ceiling. The larger-than-life-size animated robots include a chameleon, a rhinoceros, a giant squid with 18-foot tentacles and a platypus. Also featured are a house fly with a 10-foot wingspread, a grasshopper, a bat and a giraffe whose head and neck alone stretch 9 feet tall. To make a reservation, call 810-237-3409, weekdays 8:30 a.m.-4:30 p.m.